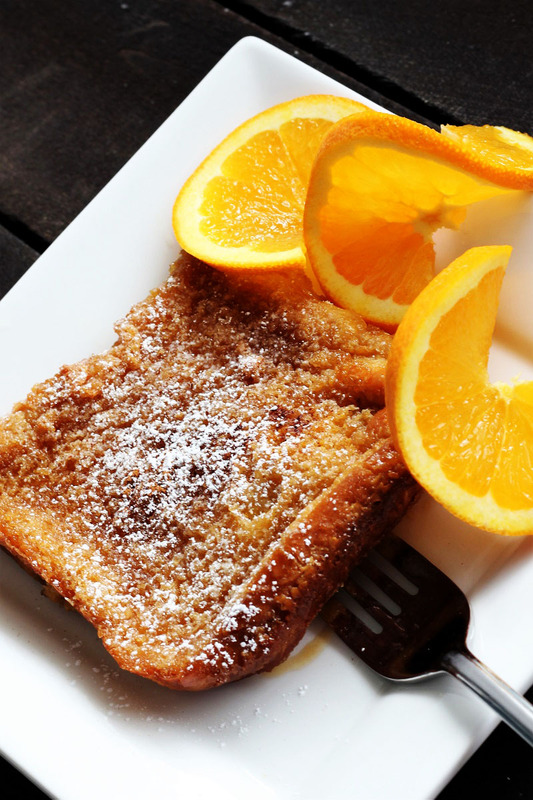 Overnight creme brulee french toast is one amazing breakfast. It is the best if it is eaten right after you take it out of the oven; otherwise it turns a little soggy. I love the crisp outside that is so crunchy. Try this recipe; it might even help get your teenagers out of bed. Just remember if you snooze you lose. Those who come to the table get first dibs on this amazing breakfast. I love to put just a little fresh orange zest in it and a little cinnamon. Those two flavors with the butter and brown sugar are so good. If you don’t care for orange zest, you can leave it out, or add two tablespoons of orange juice. 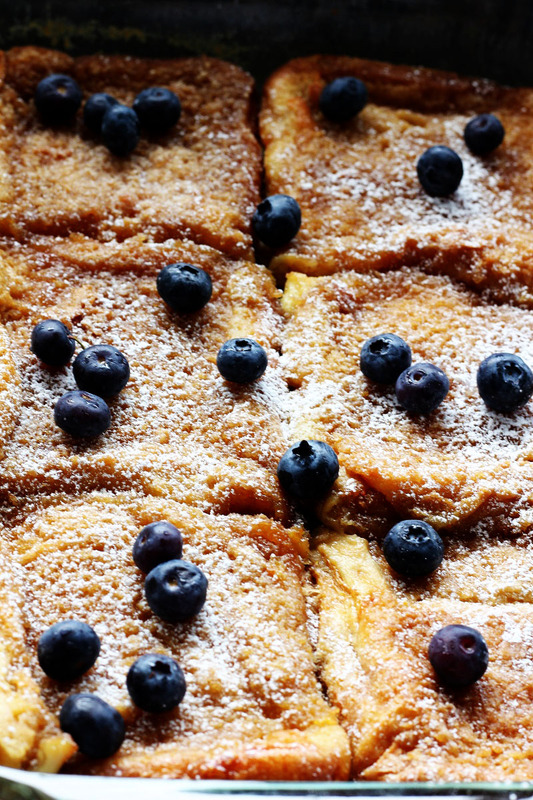 I hope that your family loves this overnight creme brulee french toast as much as ours does. Like I said though, it does go fast, fair warning. If you have more than five people you just might want to add another half of batch. It is very easy to put together the night before and then put it in the oven the next morning. It is always a great day when things are put together and all you have to do is put it in the oven and then wait for the amazing results. Mix butter, brown sugar, and maple syrup in a microwave safe bowl, (I use 50% power so that the butter does not pop all over) for 1 minute; take out and stir. Microwave at 50% power for another minute. Stir well. (If you prefer you can do this on top of the stove, just cook on medium heat and stir until sugar is dissolved). Lightly grease a 9" X 13" pan with butter or cooking spray. Spread the butter and brown sugar mixture in the bottom of the pan and place the six pieces of bread in the bottom, in a single layer. In a medium bowl, whisk the eggs, half-and-half, vanilla and salt together. Mix in orange zest or orange juice if desired. Pour the mixture evenly over the bread. Remove the cover, and place the pan in a cold oven. Turn heat to 350 degrees F. When the oven reaches the right temperature bake for 20 minutes; take out of the oven. Turn the bread over with a large firm spatula; this will coat the other side. If you like it a little firmer, take it out and turn it one more time, and bake for 5 more minutes. Sprinkle cinnamon on top, if desired. Serve just the way it is, or you can add whipping cream and berries! If you add whip cream, whip the cream just until peaks form. Then add powdered sugar and vanilla; mix lightly.